A horrible start to the season with disappointing losses and zero consistency has shown clear signs that Manchester United need some serious change in personnel to become the English giants they once were. The desperation for a quality centre-back has been an evident one from Jose Mourinho, and the failure to bring one in the summer gone by did not help the team’s cause. Mourinho is under dire pressure to keep his job at Old Trafford at the moment, and if there is no change in the intent of winning some serious silverware, his time to say goodbye might come sooner rather than later. 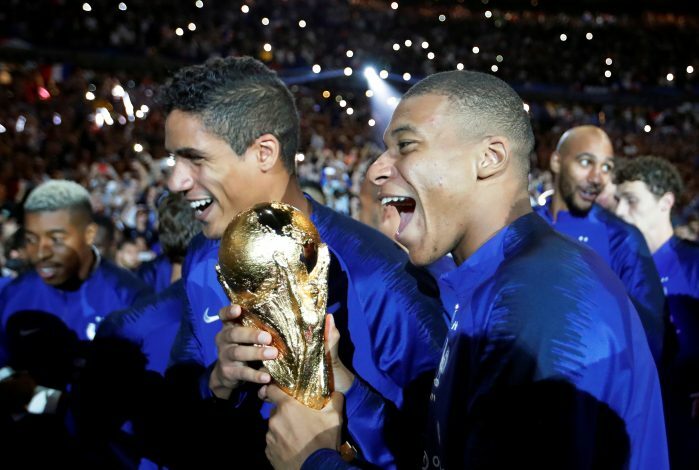 In the midst of all this, Manchester United seemed to have identified their dream target, and he is none other than the current World Cup and UEFA Champions League holder, Raphael Varane. The Real Madrid defender has been on the Red Devils’ radar since a while now, and as per latest rumours coming in from Evening Standard, United are going to splash all the cash for this one. If the reports are believed to be true, Ed Woodward wants to bring the player to United at any given cost, even if it means making him the most expensive defender in the world. While Toby Alderweireld and Harry Maguire still remain targets for Mourinho, a man of Varane’s quality will surely make his side one to fear. The player is a champion in every sense of the word, and given his power, pace, and abilities, he could be the buy that changes things around for Manchester United.